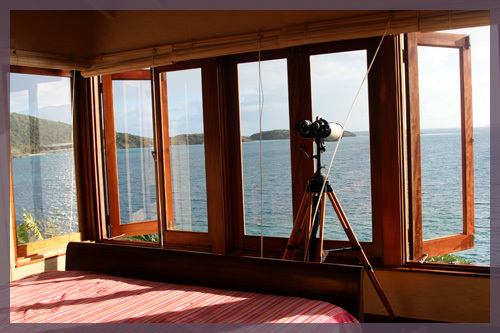 When we vacationed in Jost Van Dyke earlier this year, I realized that I really want a room with a view. Waking up, and falling asleep, to magnificent water views was not only incredibly relaxing but inspiring. There was no need for a television or fancy decor in this room to keep us entertained. The views were plenty; the sounds, too. 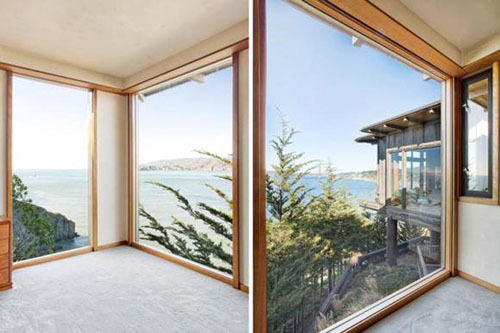 So it was no surprise that when I stumbled upon Jack Dorsey’s New House in San Francisco on home-designing.com, my eyes (ok, my wide open mouth, too) were fixated on the views this property has. 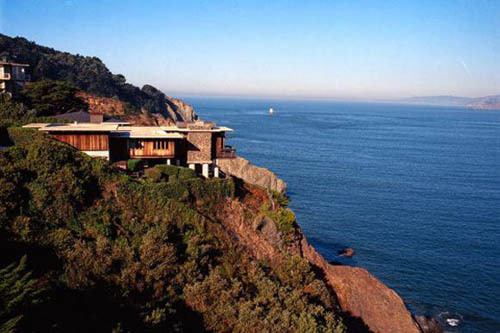 Jack Dorsey is a co-founder of Twitter and he picked up this cliff side house for a cool $9million in San Francisco. 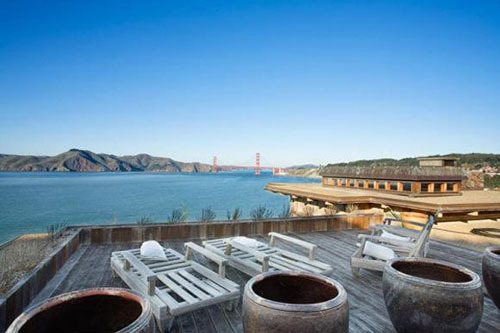 It has views of the San Francisco bay and the Golden Gate bridge. 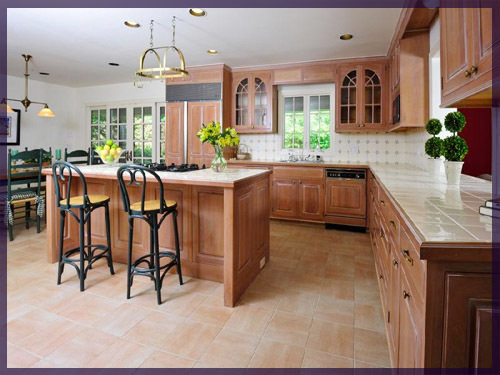 If you’re looking for interior shots, head on over to home-designing.com. Until then, here are some of the incredible views. Hopefully that SongMeanings IPO takes off one of these days and we’ll be able to live in a house with spectacular views quite like these. Speaking of Jay-Z and the giant elephant on the internet… his baby with Beyonce, I spotted a picture of the crib they chose for their little Blue Ivy (Ivy Blue? BIC? Whatever they’re calling her these days). 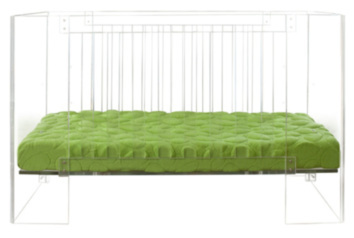 It’s made of lucite and costs $3,500. We did decide on a crib and I was going to give you the play by play of our decision, but I’m dying (cue the drama) of carpal tunnel pain at the moment and I think the story is a little too wordy for me tonight. So instead! 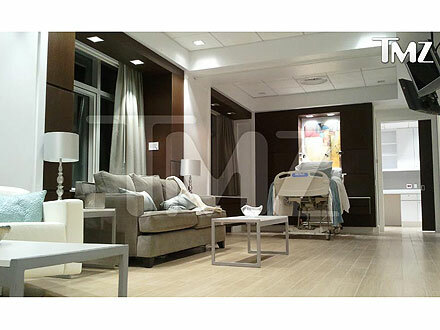 I shall leave you with pictures of the famed Beyonce birthing room. Now, I’m not one to care for celebrity rumors. Sure I’ll read them, but I didn’t think any differently of Beyonce and Jay-Z with all of the stories floating around because they were simply…just stories. I wasn’t there, so who I am to judge? The hospital has supposedly confirmed that these are pictures of the executive birthing suite that is available to anyone willing to pay. Uhh how do I get me one of these? You know, without selling my house. 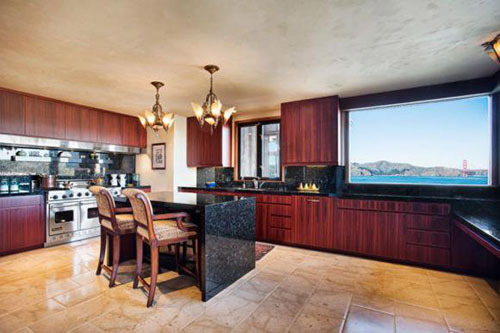 Some celebrity homes went up (or stayed up with a price reduction) for sale this week. I believe if we all pool our pennies together, we might – MIGHT – just be able to purchase one of these. First up is a self proclaimed Colonial and French style home taking up just about 6,000 square feet and sits on more than six acres of land in Greenwich, Connecticut. Drool. 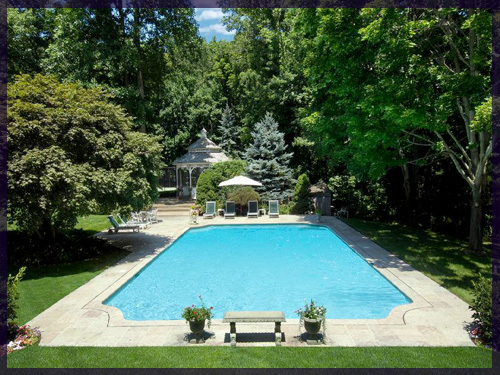 It features a tennis court, a swimming pool and a gazebo. I’m in! The house itself sports four bedrooms and get this – eight bathrooms. Eight! We have 2.5 bathrooms now and I still find myself struggling to decide which one to use every day. 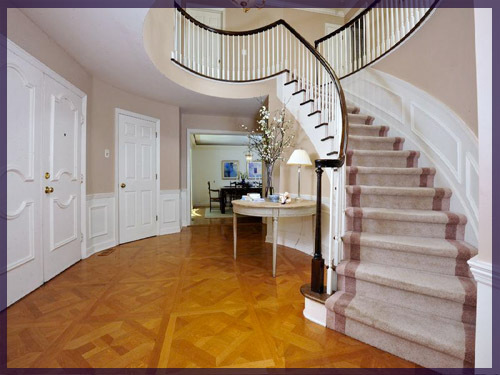 I’m not much a fan of the flooring nor carpeting going up these stairs, but the trim is outstanding. I love that the bannister really pops against the white, too. The house? It’s going for a cool $3.8 million bucks. 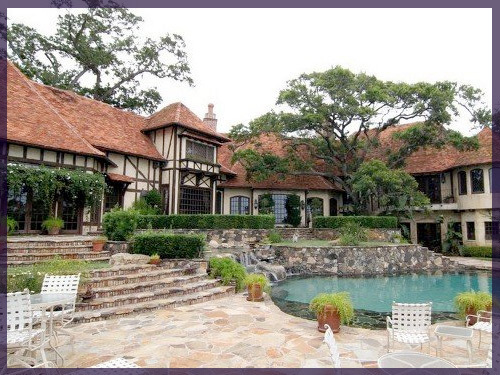 It was last listed for $5.9 million in 2008. Pssh, I guess I need to get myself on Who Wants to be a Millionaire! Dude. 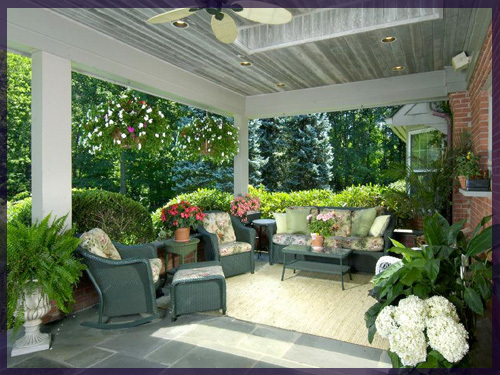 This patio ceiling? Awesome. I can do without my grandmother’s outdoor furniture, though. Oh look how creative I am. I mentioned a show the owner was once the host on! 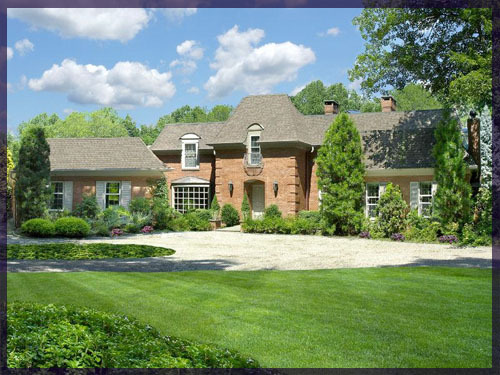 Yes, this house is owned by Regis Philbin – though he hasn’t lived in it for several years choosing to instead rent it out. And now on to the next one! 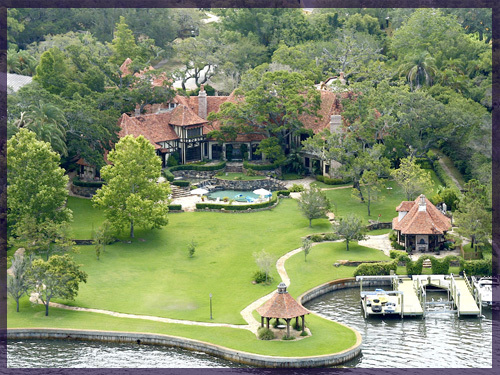 Five years ago, this house was listed for $25 million. It never sold so it went off the market. 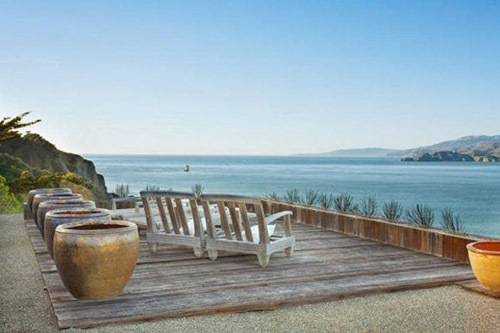 Last summer, it was listed again but for $10.9 million. That’s more than half off! But once again, it never sold. And it’s listed once again for a reduced $9.2 million. 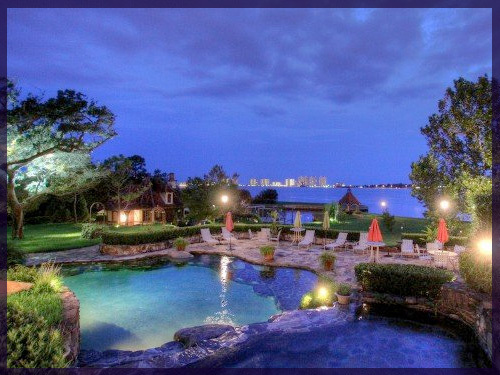 This bad boy is located just 35 minutes outside of Tampa and overlooks an Intracoastal Waterway and Clearwater Harbor. I’ll take it! The home has five bedrooms and 11 bathrooms (whaaaat). 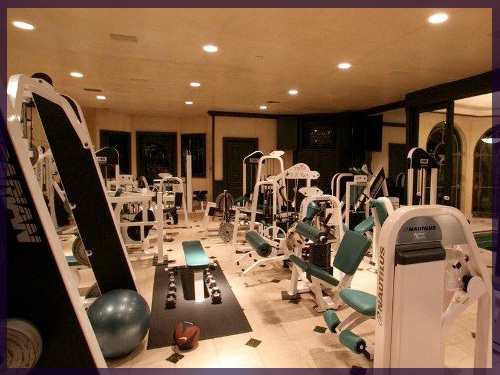 It has a full gym and recreation room. The house has an awesome pool with several waterfalls (drool) and two docks on the water for my, err anyone’s boating needs. 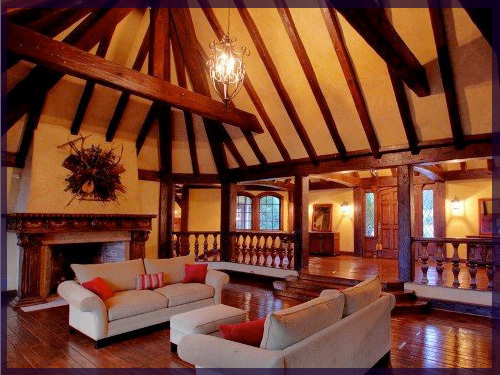 Wood work and those beams are awesome. But that thing over the fireplace? Hmm. Start eating your vitamins and saying your prayers and cheat on your wife to afford this house! Or Hollywood Hulk Hogan (this is his house, just in case you didn’t catch on yet) might just unleash his 24 inch pythons on you! Speaking of bad boys, Diddy’s house is up for sale, too! This Alpine, New Jersey (Jersey! Holla!) home is 17,000 square feet with 7 bedrooms and 9 full bathrooms. At least Diddy has his bedroom to bathroom ratio relatively normal. And some credits? Sotheby’s, The Wall Street Journal, Aol Real Estate, and CelebrityDetective.com.